Raccoons in the wild are scavengers. Everyone has suffered through the dilemma of “trash pandas” and how to keep them from turning over bins. I had the same problem but inside my house. We finally put an end to the Olympic sport of garbage tipping when we put a bungee cord around our garbage can. Bungee cords are very useful with raccoons. Their little hands can’t manipulate them. Rodney, however never went through the trash for food, but for fun. He gets offered enough treats throughout the day. 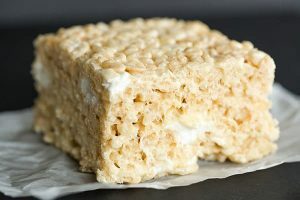 His favorite being Rice Krispy treats. Most raccoons love marshmallows. Not Rodney, he preferred them stirred in something, usual cereal. He knows when I am making them and hangs out around my feet to lick the spoon. He will eat the gooey portion left on the wooden spoon and then usually steal it away to his room. Leaving me to bribe him with a Rice Krispy Treat to get my spoon back. Bribes work tremendously on him. I can usually bribe him with the treats or gummy bears — another favorite. He does have colors he likes, red being the number one. He also is into jelly beans but will take out a declaration of war if accidentally slipped a black one. He avoided me for a week after such an incident. 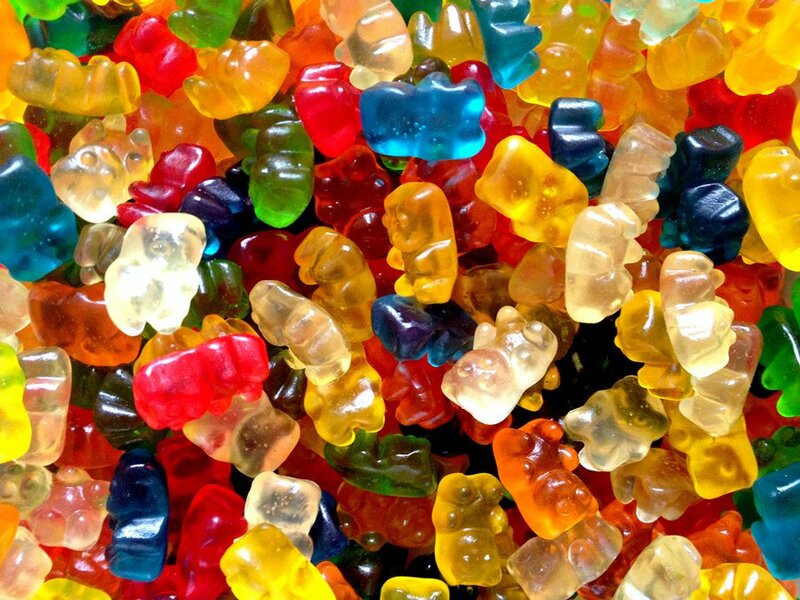 I, too, have come to enjoy gummy bears and jelly beans, but I usually inject mine with vodka. When dealing with temper tantrums from a raccoon, the vodka helps — a lot. Like a child, Rodney prefers to get what he wants, when he wants — which means I need to stay well stocked on his favorite items. Otherwise, tantrums persist. Tantrums for a Rodney usually involve moving furniture, at two o’clock in the morning. Vodka also helps me sleep through such tantrums. He does eat healthy, high-end dry dog food is a staple, but like most kids turns his nose up at vegetables. He thinks broccoli is for playing soccer, green beans are for throwing at his little brother—a four-pound Chihuahua, and mushrooms are for stuffing into the creases of the sofa. I have better success with fruit. Blueberries are popular, but more often than not end up as random modern art displays on my kitchen floor. Bananas were his favorite for a while and then became mounds that resembled the monolithic figurines found on Easter Island. I initially liked to encourage Rodney’s artistic side. Three mop heads later, I’ve lost my appreciation for art. Rodney also has a love for Tootsie Rolls. During those holidays where the chewy candies are wrapped to celebrate a season and sold in bulk, I buy some for my husband to share and me. The only problem is Rodney inevitably finds where I have hidden the bag and ends up stealing it away to his room. On several occasions, my husband has blamed me for eating all the Tootsie Rolls only to find out there is another culprit. Most of the time we just have to follow the trail of Tootsie Roll wrappers to find his hiding spot. He never eats much of the candy but likes to unwrap it. Unfortunately, Tootsie Rolls are very sticky and after being left out on furniture, or the floor, have to be peeled off. Rodney has even gotten a few stuck on his coat which has led to lots of swearing, screaming, and vodka on my part. Rodney seems to enjoy the peanut butter I use to get his matted coat free of the mess. His tastes change, and what he loves one day, he won’t touch the next, keeping me on my toes and hunting for new treats to tempt him. Like most mothers, I’m not happy unless my child is eating. And at the end of the day, when he has consumed his body weight in sugar cookies, Rice Krispy Treats, or gummy bears, he sleeps, or should I say goes into a coma. It’s during those quiet times I relax and drink. Because I know when he awakens, he will be hungry again.